MEP Site Engineer, PORR Construct SRL - Aplica pe eJobs! - High mobility and flexibility all over Romania. 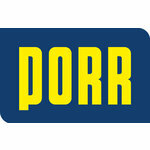 - Complies with the standards of the Porr Group.